Learn about the value that DSC and the assessment of thermal stability bring throughout the development of a biological drug product - whether an innovator molecule or a biosimilar. Real data will be shown from drug products currently in development. 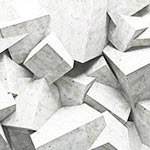 Cement - composition, structure and fineness – we are stronger together! Learn about the value and synergies between XRF, XRD and PSD analyses in cement manufacture and review the economic impact advanced analytical tools can have on plant performance.